Remove the old arm pad from the crutch core. When applying the arm pad, simply stretch the Crutch-Mate over the core and press the hook and loop closure in place. To assemble the hand grip, remove the grip core from the crutch and slip off the original foam pad. Next, push the core through the Crutch-Mate gel pad and reassemble to the crutch, making sure that the sitching is on the underside of the grip. Crutch-Mate arm pads may be wiped down with a damp (not wet) cloth and mild soap or disinfectant. Allow the arm pads and/or hand grips to air dry before use. DO NOT machine wash or allow the gel to get wet. 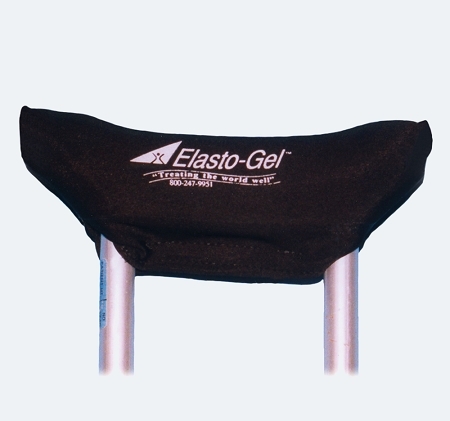 The gel will absorb water and swell.